Bone broths, broths and stocks are soothing, nutrient-dense additions to the kitchen table, and they’re wonderfully easy and inexpensive to make at home (you can find recipes, tips and information in this book: Broth and Stock). They’re extraordinarily rich in protein, specifically gelatin and they also contain trace amounts of minerals like calcium and phosphorus. Making your own bone broth from scratch is easy and economical, but if you don’t have the time or would rather not fuss with simmering bones for hours to make broth, you can buy excellent, traditionally prepared bone broth online here. It’s the next best thing to homemade. Bone Broths are found in culinary traditions throughout the world. Preindustrial societies across the globe have always placed particular and special emphasis on the preparation of the whole animal – and that includes emphasis on using bones for making broth. In Asia, emphasis is placed on stocks and broths made from fish and fish bones, as well as beef bones for popular soups like Korean bone soup. In Europe, stocks and broths have become the foundation of cooking and are used in not only making soups and stews, but also for preparing reductions, sauces and for braising vegetables and meats. What’s the difference between broth, stock and bone broth? In traditional foods circles you’ll hear a lot about broth, stock and bone broth – and they’re typically used interchangeably. Bone broth, broth and stock are built on the same basic foundation: water, meat or bones (or both), vegetables and seasonings. As it cooks, the liquid is typically skimmed (although this is not necessary since the foam that rises to the top of the stock pot – off-putting as it is – is rich in protein) and eventually the solids are removed by straining the stock with a fine-mesh sieve or reusable coffee filter. Bone Broth is typically made with bones and can contain a small amount of meat adhering to the bones. As with stock, bones are typically roasted first to improve the flavor of the bone broth. Bone broths are typically simmered for a very long period of time (often for 8 hours, and sometimes in excess of 24 hours), with the purpose being not only to produce gelatin from collagen-rich joints but also to release a small amount of trace minerals from bones. At the end of cooking, the bones should crumble when pressed lightly between your thumb and forefinger. Bone broths are extraordinarily rich in protein, and can be a source of minerals as well. Glycine supports the bodies detoxification process and is used in the synthesis of hemoglobin, bile salts and other naturally-occurring chemicals within the body. Glycine also supports digestion and the secretion of gastric acids. Proline, especially when paired with vitamin C, supports good skin health. Bone broths are also rich in gelatin which may support skin health. Gelatin also support digestive health which is why it plays a critical role in the GAPS diet. And, lastly, if you’ve ever wondering why chicken soup is good for a cold, there’s science behind that, too. Chicken broth inhibits neutrophil migration; that is, it helps mitigate the side effects of colds, flus and upper respiratory infections (read it here). Pretty cool, huh? Can we be well-fed, but malnourished? Bone broths are easy to prepare at home, very inexpensive (the cost of bones is usually under $2/lb), and are very convenient and simple to make. You make bone broth by simmering bones in water, often with the addition of an acidic medium like wine, for several hours. It will yield a flavorful liquid perfect for sipping or using as a base for soups and stews. Start with the recipes below, they all involve the long and slow cooking process that allows for the release of protein and trace minerals from bones. My husband and I aim to consume about one quart of bone broth per day, per person. While we start every morning with a mug of broth seasoned with salt, pepper and crushed garlic, we also use bone broth to braise meats and vegetables as well as in soups, sauces and stews. Drink it plain with a little salt, ground pepper and crushed garlic. Bone broth can be stored in the refrigerator for no more than a week. You can also freeze it in ice cube trays, and transfer the frozen cubes of broth to a resealable freezer bag where they will keep for 6 months. Alternatively, consider making Homemade Bouillon. 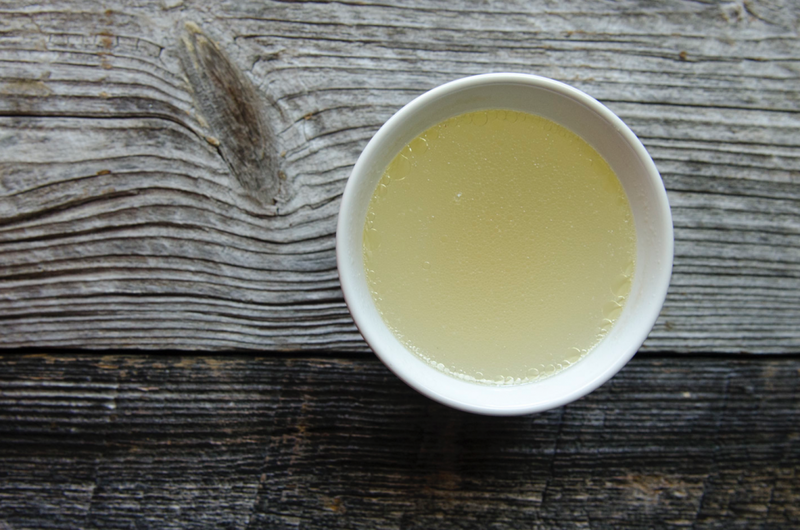 Read more information about various methods for storing broth here including reduction, freezing and making powdered broth. 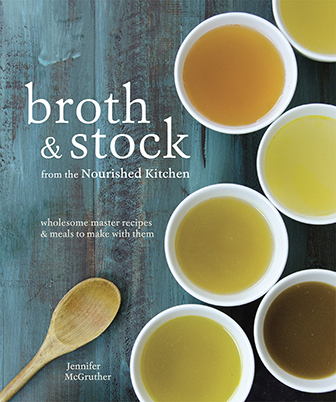 Broth and Stock is an essential book in the broth makers kitchen, with plenty of recipes for bone broths, meat broths, fish stocks and vegetable stocks, plus gorgeous recipes for using broths that you make. 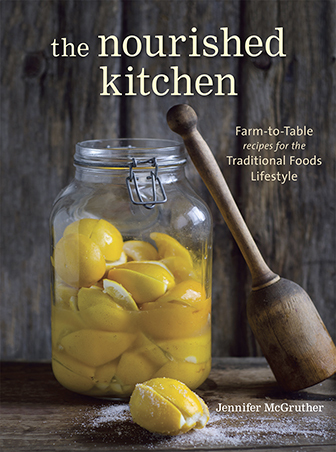 The Nourished Kitchen covers not only bone broths, but also fermentation, sourdoughs and traditional foods. A heavy-bottomed stock pot that’s large enough to hold several pounds of bones is the broth maker’s best friend and a worthy investment. A fine-mesh sieve helps you to strain the broth after you’ve made it so that it’s easy to discard the bones and other debris. A skimmer helps to remove the foamy scum that bubbles up at the top of the pot as you prepare bone broth. Removing it helps to clarify your broth and improve its flavor. If you’re not ready to make your own broth at home, or just want to have some on hand in case you run out, we recommend this traditionally prepared, long-simmered bone broth.